Updated Single Story End Unit in Desirable Westfield Woods, Westside Danvillle. Designed Throughout with Classic Architectural Features, Designer Touches, Updated Paint, Open Floor Plan, Natural Light.Spacious Living Room w/Updated Floors, Fireplace, Sliding Glass Doors Open to Back Patio.Kitchen w/White Cabinetry, Built in Oven, Dishwasher&Open to Dining Room.Master Suite w/Sliding Doors Opening to Back Patio, 2Closets& EnSuite.2nd Bedroom w/Extra Deep Closet, Full Updated 2nd Bathroom w/Shower over Tub. 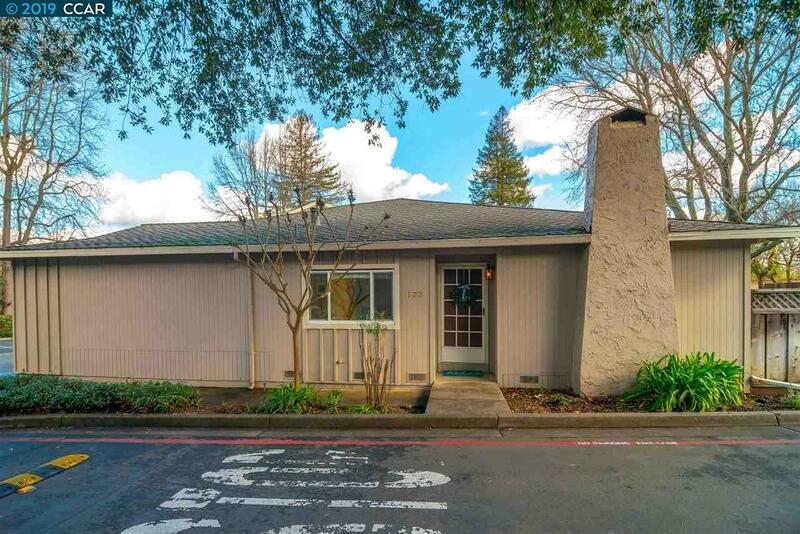 Laundry/Mud Room, Attached 2 Car Garage, Ample Guest Parking, Community Pool, Walking Distance to Trail, Downtown Danville, Easy Access to Commuter Highways&World Class Shopping&Dining.The Best Location Danville Has to Offer!